It’s been quite a ride for one of our Shetland ponies, Elsie this week, as she took a trip to the dentist. Elsie spent a day with the vet who removed a cracked, back tooth. 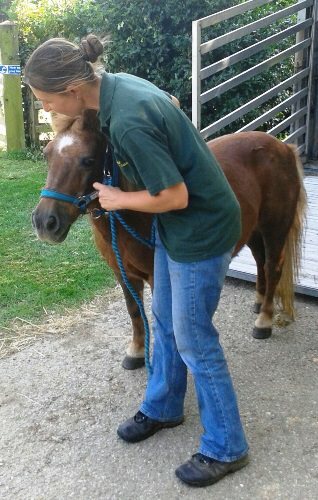 As a Shetland, originating from the Shetland Isles in Scotland, Elsie is stocky with a thick coat and is bred for harsh conditions, so she was delighted with her stable at the vet’s which must have felt very spacious for such a small pony. She arrived back at Sacrewell on Wednesday afternoon (23 July) and thoroughly inspected every corner of her paddock, checking to make sure that no-one had been in there while she was away. She’s now settled back in and will have a check-up in a couple of weeks. Next time you visit, why not stop by her paddock and say hello.